Fifty years ago, the Apollo 8 mission brought astronauts to the moon for the first time. 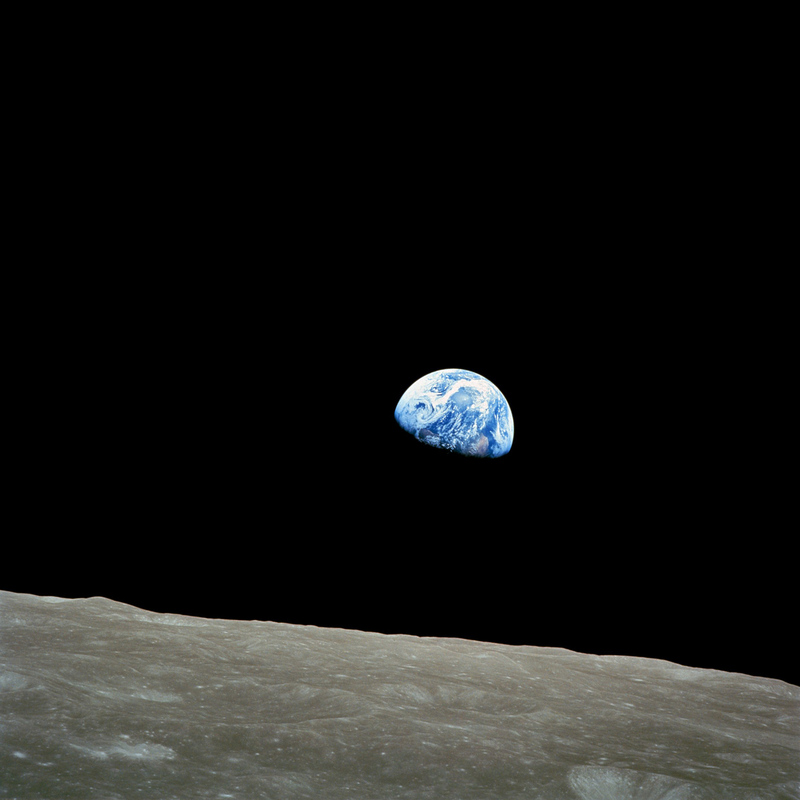 The six-day mission included a day orbiting the moon, during which time the astronauts took the first photograph of Earth in its entirety (known as the “Earthrise” photo). This photo is now one of the most iconic photographs ever taken. The feeling that overcame the Apollo 8 astronauts—and the change they experienced—when viewing Earth from a great distance was arguably even more transformational than the historical significance of the photograph. They noticed that the human-made borders that separate and divide us disappeared, creating a single, interconnected planet. The space writer Frank White later coined this phenomenon as the “Overview Effect” to describe the mental shift that happens to astronauts when experiencing Earth as just a small part of a greater whole. “I hope this work encourages people to consider how far we actually are from our only close neighbor in this solar system, and in doing so, become aware of how fragile our society, or life at all, really is.” said Oliver Jeffers of his installation. 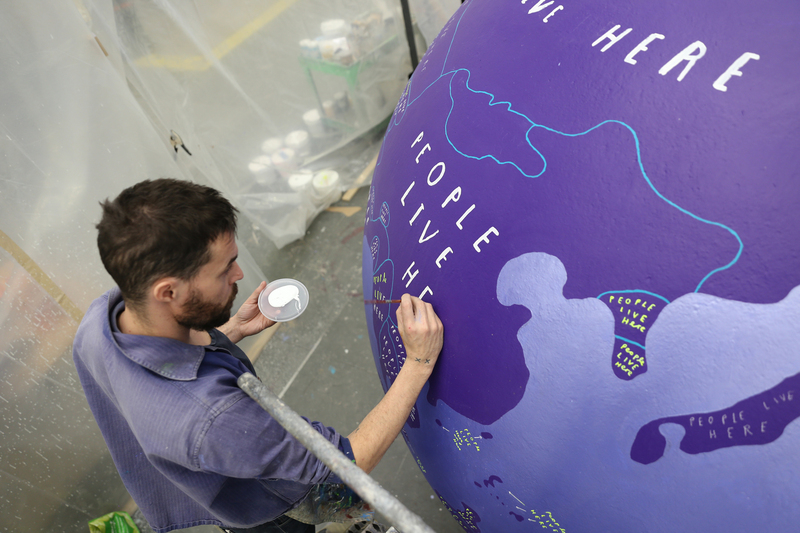 The Moon, the Earth and Us will be on display to members of the public in the High Line’s Chelsea Market Passage (on the High Line between 15th and 16th Streets) from Thursday, January 24 – Thursday, February 14.